chastitydetori. asks: Why do athletes dump Gatorade on their coaches after winning a game? During a typical sticky, unbearable August weekend in 1965 in Gainesville- the home of the University of Florida Gators- football practices were well underway in anticipation for the upcoming season. However, the weather had wreaked havoc on the freshman football team over the weekend. 25 players had been admitted to the infirmary with heat-related illness. Even those who didn’t get treatment were losing a relatively large amount of water weight due to sweating, with performance suffering accordingly. This all greatly concerned the entire coaching staff, but especially assistant coach Dwayne Douglas. He had experienced similar symptoms when he was a player too (including in the NFL for a short time before hurting his knee). After a weekend of way too many of his players falling ill, he decided to seek help with the problem. Robert Cade was a 37-year-old associate professor of medicine at the University of Florida, specializing in kidney disease and one of the few doctors in the country who was performing kidney dialysis at the time. When he was approached by one of his fellows, who had been approached by Douglas wondering, among other things, why his players had difficulty urinating for some time after practices, Cade was quick to decide to tackle the task. After all, he was already well-known around campus for making various drinks and concoctions that helped with kidney function and digestion. He was also a big sports fan, having grown up in St. Louis and loving the city’s baseball team, the Cardinals. Cade and his team, including Dana Shire, A.M. deQuesada, and Jim Free, went to work trying to fashion a drink that would help the football team survive in the Florida weather. After testing the players during a number of practices, the research team made some pretty interesting discoveries. Beyond simply losing fluids, the players were losing up to 25% of their bodies’ store of salt through their sweat and their blood pressure and blood sugar levels were significantly lower than before the practices. Unfortunately for Cade, his concoction also apparently tasted worse than sweat. In fact, one of his fellow researchers, Dana Shires, noted he thought it tasted like toilet bowl cleaner… we can only assume he was speaking metaphorically and hadn’t actually ever tasted toilet bowl cleaner to literally compare. Others said it had a distinctive seawater quality to it, which is probably a bit more accurate of a statement given its salty nature. 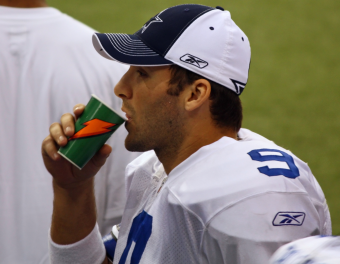 Cade reportedly couldn’t even keep it down, choking up the first gulp he took. Needless to say, in order for any athlete to want to drink this stuff, it had to taste better. At the suggestion of Cade’s wife, the researchers purchased bushels of lemons to squeeze lemon juice into the mixture. They also added the artificial sweetener cyclamate to further help mask the taste. If you’re wondering why they didn’t simply add more sugar, they were concerned too much sugar would upset the stomachs of the players. In the end, the additional flavoring worked enough that they players were willing to drink it. Later that week, the Florida Gators were set to take on the number five ranked Louisiana State University Tigers. It was a showdown that the team was highly anticipating, despite being heavy underdogs. 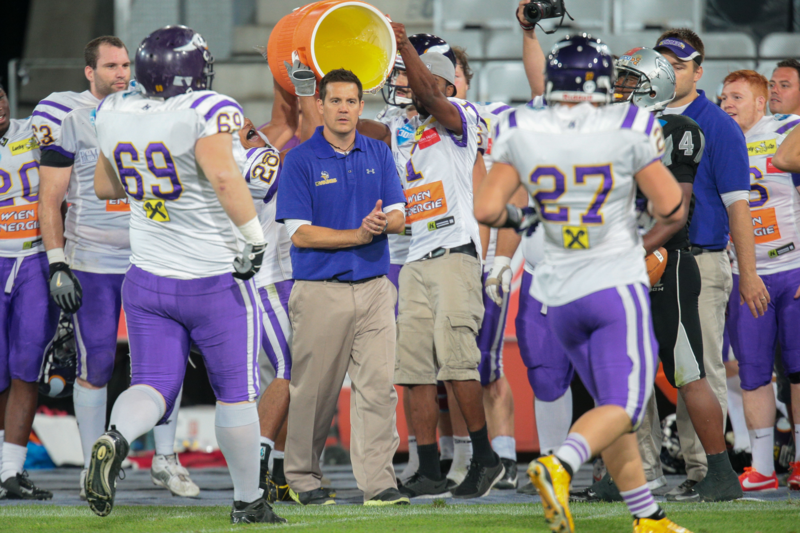 On the sideline, Cade and his team set out cups of their concoction hoping players would drink it despite its urine color and – as more than one player said – taste. They assured the players that it would help them stay hydrated and fresh later in the game, just when LSU was tiring. Around that same time, Cade had companies knocking on his door wanting to purchase the rights to sell the drink. Soon enough he sold Gatorade to Stokely-Van Camp, a company known for its pork and beans products. Their agreement included a percentage of the royalties going in perpetuity to Cade, his research team, and some investors. The government also jumped in, noting that Cade and his team were operating under a grant from the U.S. Department of Health when they invented Gatorade. After a lengthy legal battle, it was decided that Cade, his team, and his investors would share the royalties for the product with the university 80/20 and, because of the federal grant funding their research, they would rescind patent applications related to the drink and would publicly publish the Gatorade formula, which they subsequently did. Since then, the total amount the university has earned from Gatorade up through 2015 is approximately $281 million. Doing the math on that 80/20 split, this means Cade and his team have profited some $1.4 billion or so, though they’ve never publicly shared this information, nor how they’ve divvied up their profits. This brings us to how the practice of dumping a large container of Gatorade over a winning coach’s head, known as a Gatorade-Dunk, got started. It’s commonly stated that this was first done by Chicago Bears lineman Dan Hampton when he dumped such a cooler over Mike Ditka’s head after a game on November 25, 1984 in which the Bears defeated the Vikings 34-3 in front of a crowd of 56,881. Why the Hampton angle continues to be touted by many an otherwise reputable source is a mystery given easily found and readily available video footage proving he wasn’t the first. Said footage shows New York Giant’s player Jim Burt dumping a cooler of Gatorade over coach Bill Parcells in a game on October 28, 1984 in which the Giants defeated the Redskins 37-13 in front of a crowd of 76,192. This is just under a month before Hampton doused Ditka and gives us the actual first known instance of such a Gatorade victory shower. It was that season, in which Parcells was doused 17 times, that really thrust the practice into the national spotlight thanks to the final dumping after the Giant’s Super Bowl victory, ultimately seeing the Gatorade shower gain widespread adoption. As to the original motivation behind dumping the cooler of Gatorade onto Parcells’ head, according to the book First in Thirst: How Gatorade Turned the Science of Sweat Into a Cultural Phenomenon, by Darren Rovell, and corroborated in the book Point of Attack: The Defense Strikes Back, by Harry Carson himself, Burt was looking for a way to playfully get back at Parcells for Parcells riding Burt hard the previous week, including making him lift and set back down a 20 pound (9.07 kg) weight over and over again for 45 minutes. He simply figured dumping an icy cooler of liquid over Parcells’ head if they won was good payback. Who Invented the Sporting Wave? How Did the Practice of Women Jumping Out of Giant Cakes Start? How Do We Pee and Why Can’t We Do It Any Time?